Fall is in the air, so it must be quilt show season…it seems like there is a bunch of inspiration every weekend, this time of year! This past weekend, we scooped up our friend Nancy and drove to the Pasadena Convention Center for the Glendale Quilt Guild quilt show, Ripple Effect. 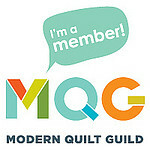 There was a Guild boutique, lots of incredible quilts, and even a special exhibit from Men Who Quilt. We had a great time…can’t wait for the next show!